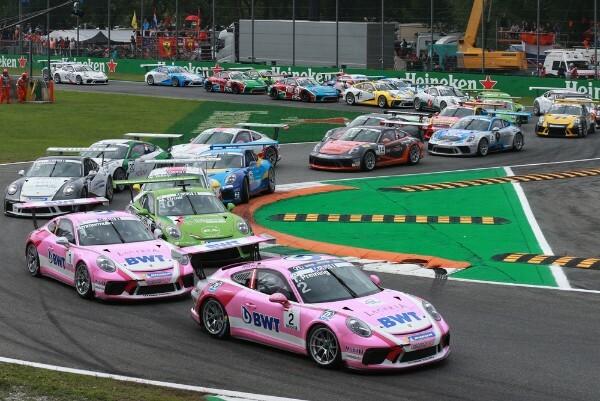 The fight for the title in the Porsche Mobil 1 Supercup remains gripping to the end: At Italy’s Autodromo Nazionale Monza, Porsche Junior Thomas Preining (A/BWT Lechner Racing) secured his fourth win of the season. Second place went to the current championship leader Michael Ammermüller (D/BWT Lechner Racing), with third place occupied by Mattia Drudi (I/Dinamic Motorsport). “My start was perfect. I managed to stay next to Ammermüller and took a bit of a risk with the late braking. At times our fight became heated, which makes me all the more pleased about my win,” said Preining. Thus, the suspense remains high heading to the season finale in Mexico, where a doubleheader will be contested with a total tally of 40 points up for grabs. 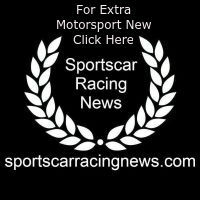 There, Ammermüller (119 points), Nick Yelloly (Fach Auto Tech, 114 points) and Preining (105 points) could be crowned champion. In front of Formula 1 grandstands packed with Tifosi, Preining made the decisive overtaking move right at the start. From second position, he had the inside line in the sprint to the first corner against pole-sitter Ammermüller. However, when the lights went out, the 20-year-old immediately ducked to the outside line and surprised even his team colleague. Preining pulled ahead in his 485 hp Porsche 911 GT3 Cup to take the lead, and Ammermüller stuck close to his bumper. In the sixth and seventh lap, the German driver launched an attack on Preining at the end of the start-finish straight. The Austrian, however, managed to successfully fend off both advances to maintain his top spot. In the final laps, Preining put some space between himself and his pursuer and took the flag after 14 laps as the winner. Ammermüller trailed him over the line 1.7 seconds later. “It’s special to start from pole position at Monza. You take up the race from the outside line and have to immediately cover the inside line. Later I managed to defend myself from Drudi and that cost me time. With an eye on the championship, second place is good, but I could have won today,” said Ammermüller. Drudi was delights with third place at his home race. Starting from the third grid spot, the Italian at times put Ammermüller under intense pressure. In the end, Drudi managed to bring home his fourth podium result of the season. “To race in front of Italian fans is a fantastic feeling. After I caught Ammermüller I made a minor error unfortunately. Ultimately I didn’t want to jeopardise my third place through to a risky manoeuvre,” said the 20-year-old. Yelloly was able to make up one position and crossed the finish line fourth ahead of Dylan Pereira (Momo Megatron Lechner Racing). The Luxembourger achieved a top speed of 270 kilometres per hour on the high-speed circuit – the fastest of all 30 drivers. Sixth place on the storied 5.794-kilometre racetrack not far from Milan went to Jaap van Lagen (NL/Fach Auto Tech). In Monza’s Royal Park, Florian Latorre (F/martinet by ALMERAS) achieved seventh place as the best rookie. The most overtaking manoeuvres were carried out by his compatriot Julien Andlauer (martinet by ALMERAS): The Porsche Junior started from position 30 and concluded the race in eighth place. “I knew it would be a marathon for me, so it was important to handle the tyres carefully. I think I got the most out of my starting position,” said the 19-year-old Andlauer. Roar Lindland (Lechner Racing Middle East) was thrilled with his victory in the ProAm category. For the Norwegian, this marks his sixth win in this class. Three drivers from the Porsche Mobil 1 Supercup raced in front of home crowds this weekend: Aside from Drudi from Misano Adriatico, Alberto Cerqui from Preseglie and Gianmarco Quaresmini (Castegnato) also drove vehicles fielded by Dinamic Motorsport. Cerqui scored ninth place, with Quaresmini claiming position 13. The Dinamic Motorsport squad has its headquarters in the northern Italian city of Reggio Emilia. For the season finale, the Porsche Mobil 1 Supercup travels to Mexico for a doubleheader from 26 to 28 October. After 2017, this marks the second time in the history of the series that the championship will be decided on the Autódromo Hermanos Rodríguez. Mexico City hosts rounds nine and ten.